The rating agency sees surplus cash helping them weather the PPACA storm. Analysts at a firm that helps determine what companies pay for capital say the new U.S. health system changes could be easier on the credit ratings of health insurers than on the ratings of health care providers. 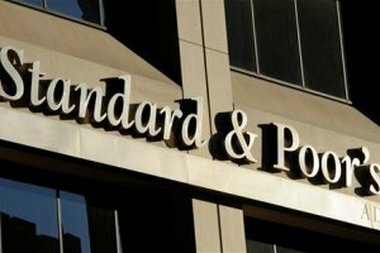 Standard & Poor’s Financial Services has published the analysts’ views in a new global credit sector commentary. Some health care companies may want to borrow money from lenders, or raise money by selling stock to investors, to cope with the new Patient Protection and Affordable Care Act (PPACA) programs and requirements. Companies pay less for capital when S&P and other rating agencies give them high ratings for soundness, and more when rating agencies give them low ratings. The S&P analysts say most of the health insurers they rate have plenty of cash. PPACA may help insurers by increasing plan enrollment, while hurting them by bringing them sicker enrollees, the analysts write. But overall health care utilization rates have been falling, and insurers have “significant financial resources to weather the storm at existing rating levels,” the analysts say. Many nonprofit health care providers also have significant cash reserves, but increasing health care cost transparency could squeeze their profit margins, the analysts say. Some for-profit providers that charge low prices may get more business because of PPACA, but they tend to have less cash than insurers or nonprofit providers. Lack of cash could reduce the for-profit companies’ ability to absorb the effects of any reductions in profit margins, the analysts say.